Accessories: Big Shot - Elegant Lines & Beautiful Wings and Adhesives. Sorry for the photo, I think my camera is playing up again. Samantha, gorgeous card! 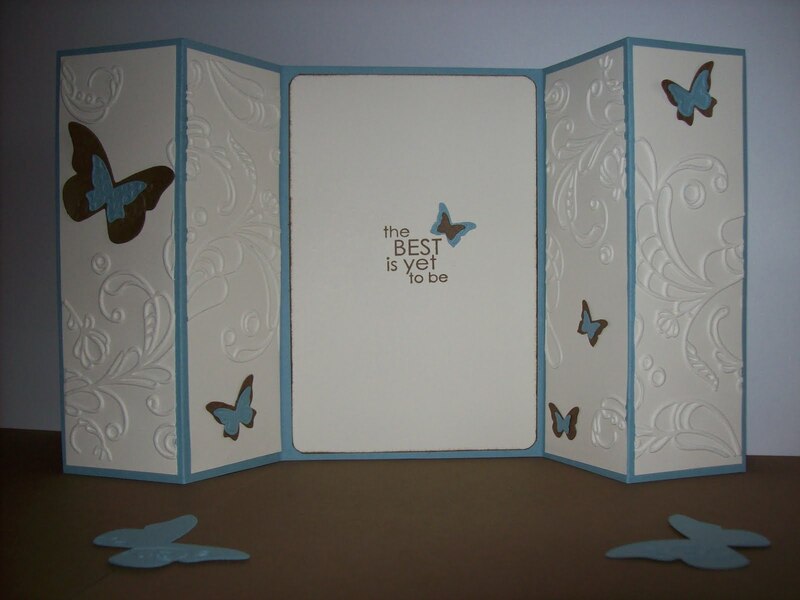 The embossing is the perfect touch and the butterflies area beautiful accent. Thank you for joining us at Hand Stamped Sentiments. So pretty! I can just imagine the newleyweds putting their wedding photo in this card and displaying it. Thank you for sharing your beautiful work at Hand Stamped Sentiments! Love how the card opens! The butterflies and embossing are perfect with the sentiment. Thanks for playing at Hand Stamped Sentiments. Beautiful! So simple and elegant. 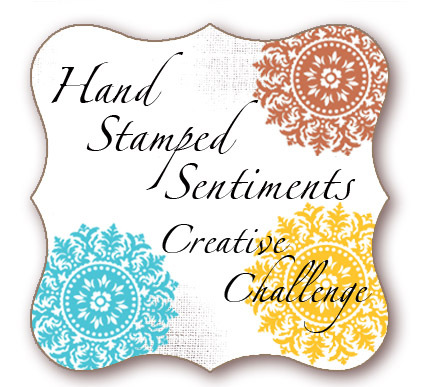 Thanks for joining us this week at Hand Stamped Sentiments!